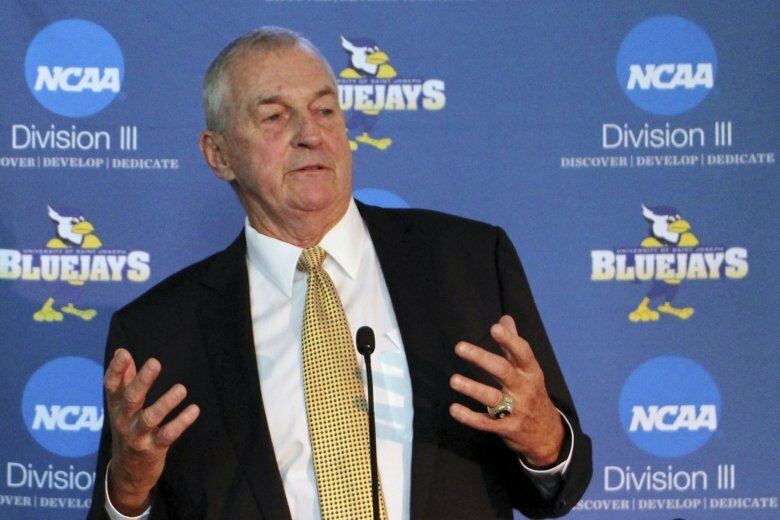 WEST HARTFORD, Conn. (AP) — Jim Calhoun has officially been named the head coach at Division III University of Saint Joseph in Connecticut. The Hall of Famer had already announced he would be taking the job and has been working for a year to establish a men’s basketball program at the small Catholic university, which was an all-women’s school until this school year. Calhoun also has continued to serve in an advisory role at UConn, where he served as coach for 26 seasons and led the Huskies to three of their four national titles before retiring in 2012. The 76-year-old will return to the sidelines with a career record of 873-380 when the Blue Jays open the season on Nov. 9 against William Paterson University. That game will be played at Trinity College in Hartford, which has a gym that seats about 2,200 people, about 1,000 more than the gymnasium at Saint Joseph.